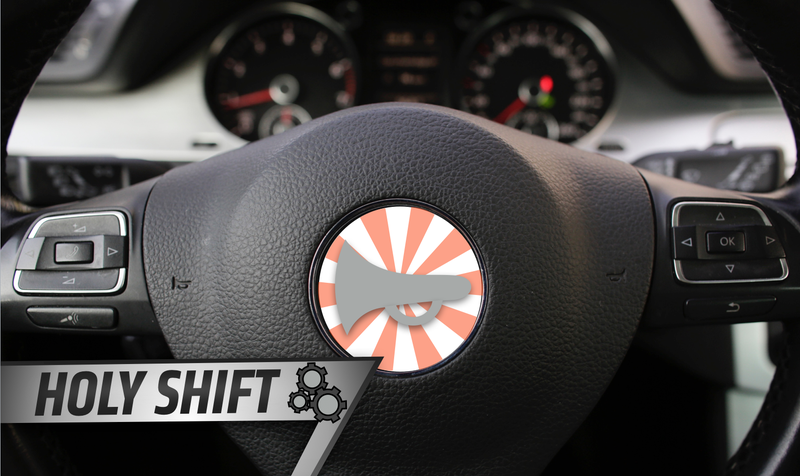 What Came Before The Car Horn? Some people just can’t drive. And when a person can’t drive, it’s only right for the rest of the public to inform him or her of that knowledge deficit—with a loud, unmistakable wail from behind the wheel of another vehicle. To be honest, that’s why a lot of us are thankful to have a horn at our disposal. But the need for a signaling system arose over a century ago, and boy, was it an inconvenient one. Citizens—both with and without cars—wanted warning symbols for driving, and the British government answered. In 1865, the United Kingdom passed an act requiring all motorized vehicles to “be preceded by a man on foot carrying a flag during the day or a lantern at night.” The new regulations went by both the “The Locomotive Act” and the “Red Flag Act,” which is wild to think about. Just imagine a person walking ahead of cars these days—especially on our 85-mph Texas highways. Insane, right? So, the people in the vehicle could essentially walk to their destination in the same time as the car took to get there, just like the man on foot had to do anyway. But pampered treatment is usually the preference, even if it doesn’t essentially benefit or save time for those receiving it. One Massachusetts lawmaker proposed that all cars be equipped with a bell that would ring with each revolution of the wheels. Another suggested that motorists shoot Roman candles ahead to forewarn drivers of approaching horse-drawn vehicles. When the new century rolled around, other signaling options—both for telling other drivers that you’re approaching and telling them that they need to go back to teenage driving school—did as well. Those included bells, whistles and hand-squeezed bulb horns like the ones we’re familiar with on bicycles, which all seem far less loud or intimidating than today’s options. Automakers eventually settled on a single-tone electric horn, usually tuned to an E-flat or C. Dual-tone horns were found to pierce through traffic noise more effectively by the 1960s, and the tones themselves went up to a shriller F-sharp and A-sharp. Nowadays, the horn is pretty sharp—especially in city traffic after a long day. What started out as solely a safety innovation (though it remains one) is certainly a way to call attention to any driver on the busy street, especially now that virtually all of us rely on vehicle transportation. And the overuse of horns in big-city taxis—well, let’s not even get to that one. It’s Sunday morning, so we’ll keep the conversation uplifting for now. If you have suggestions for future innovations to be featured on Holy Shift—in street cars, the racing industry or whatever you’d like—feel free to leave them in the comments section. The topic range is broad, so don’t hesitate with your ideas.